What do Amway and Nutella have in common? Being the victim of false rumors and, in both cases, swiftly addressing the untruths and correcting them. In the case of Amway, there has been a prevalent myth surrounding the company that they are basically a pyramid scheme. This type of misinformation may prevent people from purchasing cleaning products, beauty products and supplements from the company, as well as signing up to work for them. To quash this myth, Amway got busy posting the truth about their company on their website. In the case of Nutella, in 2016 rumors began to fly that the tasty chocolate-hazelnut spread contained carcinogenic palm oil. Ferrero, the company that makes Nutella, launched a campaign that explained how safe Nutella is; as a result, their sales began to flourish again. In some cases, companies do make actual errors, ranging from minor to more cringe worthy. Lulumon, a successful yoga pants company, sold pants in 2013 that were quickly discovered to be see-through — not exactly what you want to see or wear when in a crowded yoga studio. Another error happened in 2014, when American Apparel posted a photo of the Challenger space shuttle explosion and labeled it as “fireworks.” In cases like these, the best approach is to acknowledge that an error in judgment or materials was made, apologize sincerely and then do what you can to make things better. In the case of Lulumon, they reacted quickly to recall the see-through pants and replaced them with new pairs. For American Apparel, removing the photo immediately along with a heartfelt apology was a good approach. Thanks to the power of social media and online review sites like Yelp, any customer can potentially complain about your company online. When you pride yourself on providing outstanding products and services, some cranky pants who is falsely accusing you of doing something wrong can be frustrating. While it might be tempting to fire back a scathing reply to the Negative Nellie, it is best to wait until you have calmed down. Then, respond to the negative review in a professional manner; for example, apologize for the person’s bad experience, point out that this is rare in your business, and offer him or her the chance to come back so you can make things right. Other people who read the review and your reply will see that you truly appreciate your customers and want to make sure that they are happy. If handled correctly, negative publicity can almost always be turned into something positive for a company. So while it is still jarring to realize your business is being talked about in a bad light, it is definitely possible to turn the situation around and use the opportunity to show your company in an outstanding way. So what’s new in 2019? Apart from a few technological novelties, the main prediction for this year is that there will be no big surprises in the industry. The journey will be smooth for both retailers and their customers, and we’ll finally get to reap the results we’ve started predicting a couple of years ago. In other words, this is your last chance to jump in on the trends established in 2018. Wait for the new ones to emerge, and you’ll be missing a huge opportunity. Here’s what to invest in ASAP. 87% of customers say that social media help them decide what to buy. Though other social commerce statistics are just as staggering, you don’t really need them to confirm what you already know. You are a customer yourself, the same as you are a social media user. 2.77 billion of us are. But just in case you are a rare social media ghost (SMG), here’s another crucial fact: 90% of followers try to reach out to brands via social media. And why wouldn’t we? Social media networks such as Facebook, Twitter, Pinterest, and Instagram are already such an important part of our everyday lives. We use them as communication channels, news sources, collaboration tools, and entertainment platforms, all at the same time. Why wouldn’t we use them for shopping too? Convenience, real-time accessibility, and 24/7 availability are the three fundamental pillars of social commerce. They allow us, as customers, to browse products and services without tab-switching. 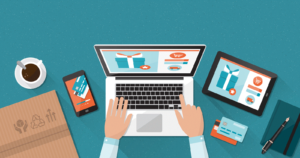 To e-commerce brands, they offer a clean, split-second, on-the-spot conversion. It’s a no-brainer, really. If you’re not selling on social media, you’re not doing e-commerce right. The most popular social network now allows you to list products directly on your Facebook page, along with a convenient Shop Now button for instant conversion. You’ll need to connect your PayPal account as well, but all this takes minutes to complete. Because Instagram has been acquired by Facebook back in 2012, the on-site conversion options are pretty much the same on both networks. You can add a Shop Now button to the images and videos you post, as well as on your carousel ads and stories. A Shop the Look Pin on Pinterest doesn’t differ much from Facebook’s button. Only instead of Shop Now, it says Buy It. The CTA is very effective in both cases, but the payment system is not the same. On Pinterest, customers can use Apply Pay and credit cards. The power of social commerce lies in engaging visual content and CTAs. When taken together, these two elements offer unmatched convenience. But one thing social media cannot provide is a lifelike experience that enables you to try products and services. You know, like in brick-and-mortar stores. In fact, the inability to see, touch, smell, test, and try out products pre-purchase has long been the only disadvantage of e-commerce. Until now. With the advent and commercialization of VR and AR technology, online shopping has taken a huge leap forward. Take IKEA, for instance. The company’s Place app relies on AR technology to provide customers with a sneak peek of how IKEA products would look in like in their own homes. This fully immersive customer experience is pretty revolutionary stuff that you’ll need to compete with in 2019. The third e-commerce trend for this year indicates that you’ll need to include an Amazon Advertising course to your corporate training software and that you’ll need to that soon. For 68% of customers, surveys say, Amazon is the only online shopping site that matters. Make sure to meet Amazon’s guidelines when creating content for your brand’s product detail pages. Avoid heavy blocks of text and use attention-grabbing imagery to boost your conversion rates. Also, conduct a competitive analysis and borrow the most effective practices. There’s AMG, AMS, AAP/DSP, and ACoS. Other Amazon ad types include sponsored ads, display ads, and video ads. Use as many of them as you can to increase your daily Amazon sales, as this will get your products ranked higher on Amazon’s product listings. Forget everything you know about keywords and Google-based SEO because these rules don’t apply on Amazon. The platform has its own searchability system based on so-called search terms. Learning how to use them is crucial for effective advertising on Amazon. Social commerce, mixed reality technology, and Amazon Advertising will rule online shopping in 2019. As e-commerce concepts and trends, they are not new. The only novelty is if you don’t learn how to use them now, you may not get another chance in a year. Today, we live in an era where there’s so much going around us amidst a fast-paced society that it is difficult to not be stressed out. On one hand where we have finances, families, friends, rent, taxes and so many such factors. On the other hand, we are left with very little or almost no control over these factors and situations. Whenever possible, we need to reduce our stress and take on some healthy habits to help in making life go as efficiently as possible. While an idyllic life on the beach without any worries at all may seem to evade many of us, it doesn’t mean that we cannot have a stress-free life. Interested to see how this can be accomplished without going out of your way? Then read on to know about the top secrets to leading a stress-free life. The moment you establish a routine, even the problematic situations become a routine. When we diverge from our daily routines, we tend to bump into a few roadblocks on the way. Whether you defy mental, physical, or dietary challenges, having a systematic routine can help structure the effort in keeping yourself healthy and sane. Irrespective of what is happening in your life, it is important to stick to a routine. This begins with inculcating the habit of sleeping early and waking up on time, dressing up, and stepping out of the house each day. For this, hand-over a plan to yourself or schedule one. Knowing the art of de-stressing is very important. 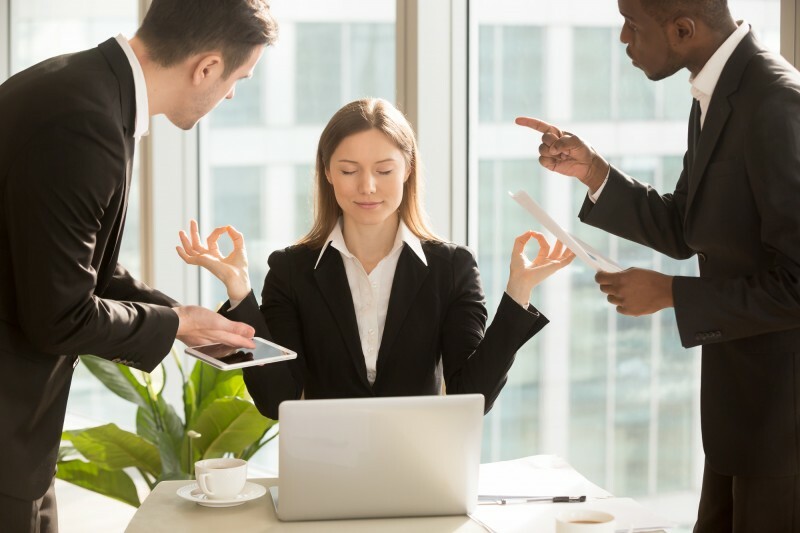 If you’re already at high-stress levels to start with, it can have a greater toll on your health and managing stressful situations can become much more difficult. Out of all of this, if you can manage some “ME” time on a regular basis, your overall stress levels will eventually lower down. Ensuring that you have great coping mechanisms to handle stressors is crucial to our overall well being as we age. Making checklists will help you take things one at a time without over-burdening yourself mentally. When we prepare mental checklists, we tend to look at things we have to do with a broader perspective instead of covering one task at a time. Also, successfully crossing something off our checklist gives a sense of pride and accomplishment which acts as a major motivational factor to handle the next task. This helps in building positive momentum. Even if you are not a huge fan of working out every day, there are many other activities that you could do and are fun such as cycling, taking a stroll at the park, bike riding, etc. Endorphins are authentic stress and pain relievers. Exercising regularly not just contributes to endurance, but also to living a worthy life. Besides, physical exercises help in decreasing the risk of major health complications, including diabetes, heart disease, and cerebral decline. To begin with, try sparing 15-30 minutes 3-4 times a week, and eventually, build from there. A lot of doctors across the globe endorse meditation as a way to get rid of stress. Meditation contributes in feeling alert and refreshed, thereby reducing stress levels, and anxiety. When we are exposed to unexpected stress or threat, we tend to retaliate with a typical “flight or fight” response. This, in other words, is also called an “adrenaline rush” since the hormones epinephrine and norepinephrine gets released from the adrenal glands, causing an upsurge in blood pressure levels, faster breathing, and increased pulse rate. And hence, to reduce the emotional and physical consequences of stress, meditative or other relaxation techniques can help with consistent practice. How are you managing stress? By smoking cigarettes, binging onto a bag of chips, or yelling at your partner? None of these habits are productive, nor are they helping you. We need to work on developing healthy coping techniques such as jogging, meditation, yoga, or anything that gets us through problems. If you’ve ever thought about this, the so-called happy hours at the restaurants make for a “not-so-happy” future down the line. If a peg or two and cigarettes are your stress relievers, it’s time that you reconsider your choices. It’s a myth that you’ll feel anxious or go through sleepless nights without consuming alcohol or smoking for days to go. The thought of quitting the habit for good may appear daunting at first – especially because the withdrawal symptoms can trigger anxiety and irritability. But in that case, you’ll need to find an alternative, something like an E-cig that can help you in the quitting smoking regime. This form of smoking is way less harmful than tobacco-based smoking. But more importantly, e-cigarettes give you the option to cut down on the level of nicotine gradually to eventually lead a zero-nicotine lifestyle successfully. Some people also experience depression, fatigue, and insomnia, but recognizing your withdrawal symptoms and ensuring that you have your friends and family members around can help you in overlooking your temporary irritability. You do not have to necessarily consume chicken for lunch and a fruit for breakfast, but it is suggested that you fit a robust dose of nutrients at every meal. This begins with focusing on your protein intake since that plays a crucial role in keeping your muscles strong as you get older. Add antioxidant-rich food items to your meals to help ward off and prevent diseases. How you eat is equally important as what you eat. A vast majority of people indulge in consuming junk food or overeat due to stress. Pay more attention to your food than your cellphone, television, or laptop to avoid indigestion. When it’s time to shut your body down, put down your cell phone and switch off the TV. As we talk about physical and mental health, sleep ranks at the number one position of the list of to-dos. Not exercising and poor eating habits can hinder sleep. Besides, good sleeping is also significant for reaching your flat-belly goals, which is critical because you want to live longer, right? Decluttering begins with getting rid of those old jeans that you never wish to wear again, the relations that serve no purpose, and old destructive habits that do not help you in any way. One thing is amply clear – they all need to leave your life, pronto! Getting into the depth of doing work and creating space in ourselves and homes lets in positivity and possibility of things we didn’t notice when we were amidst the clutter. When you breathe deeply and take full breaths, and accept this as the way you breathe all the time, you can keep the stress and your reaction to stress outside the door. Breathing wholly and deeply creates a sense of serenity by retrieving the part of nervous system that enables us to digest and rest well. We often confuse thirst with hunger. 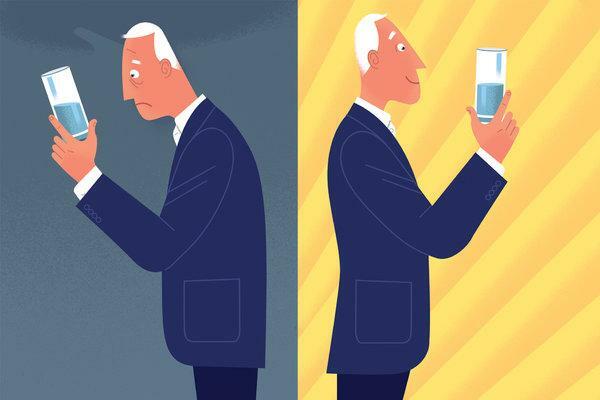 By keeping ourselves hydrated, our mind stays alert and our metabolism is improved. If you find yourself running low on energy, grab a glass of water and ensure that you’re not hungry. Replace caffeine, sugary drinks, sparkling water, and sweetened soda with basic mineral water and notice the difference. Go get your nails done. Get a massage from your favorite spa. Take a bubble bath. Indulge in some movie time. The alternatives are unlimited, but the idea is to rejuvenate and relax. Remind yourself to watch a movie every once in a while, go for a massage every once a month to relax and to take care of yourself. The idea of pushing yourself to do things you love is necessary, but often gets ignored due to time or financial constraints. While most of us think that contentment is a stroke of luck, it’s not true – it is merely the output of personal effort. You have to insist upon it, strive for it, look for it, and fight for it. You need to participate persistently if you wish to have a stress-free life. Live longer and be happy with your life. Corporate eLearning has grown by a whopping 900% over the past decade and this market is predicted to surpass $243 billion in revenues by 2022. It helps to know that digitization of corporate training is much more than just a transfer of your learning materials to the cloud. It requires the right strategy, the right tool, and the right team. If you want to transform your corporate training, get ready to embrace this trending training strategy for enterprises. A proper strategy is indispensable for effective digitization of corporate training in any organization. 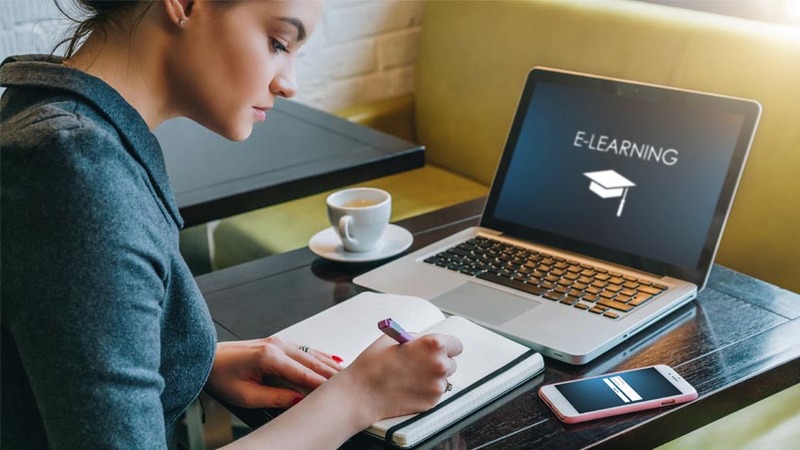 Training strategies build the foundation for successful eLearning programs and ensure that both instructors and trainees get all the benefits out of every training. The first thing to do is to set your goals. This could be virtually anything that you want to achieve, right from higher knowledge retention rates by delivering more engaging learning materials to increasing the number of employees enrolled in the program. It is important to know that these goals do not materialize just by themselves without a clear-cut plan. You have to pay attention to several factors when you set the goals. At the start, you have to identify exactly where your business is heading towards, what are your business goals, and what do you need to achieve them. After that, you need to assess your existing workforce in terms of their skill and knowledge levels. This will help you get a precise idea of the gap between your company goals and the current level of skills and knowledge. You need to get all the job descriptions and required skills for all your employees ready before you can identify the training & development needs for each one of them. Once you have outlined your training strategy, it is time to move forward and adopt a LMS software. Some of the fastest growing industries today such as healthcare, information technology, eCommerce, education and construction are top adopters of LMS software, which has become an essential tool in their corporate eLearning process. In layman terms, it is a software platform specifically built to disperse knowledge to employees in an engaging way. But it goes far beyond just that. LMS software is designed to track learners’ progress, engagement, and score as they take their courses online. Online training software literally transitions a classroom to the cloud and allows employees to access courses from anywhere they want. They can learn from the convenience of their homes, while on the break, or when they are commuting. Your training strategy determines the type of online learning software you should choose to meet your specific needs. For instance, if you want to enable your employees to learn on the go, you should look for a mobile-ready LMS platform. On the other hand, if you want to keep track of all the learning efforts of your employees, you may go for Tin–Can enabled ProProfs LMS solutions. The next thing you’ll need is a learning & development team. If you already have one, you may revisit it and see if it needs an overhaul. Don’t worry, you can do well by adding a new key player to the mix – a digital learning manager. He/she acts as the head of the corporate training digitization project and oversees the digitization of employee training. The digital learning manager’s role is vital for the success of the digitization process, and it helps to create the post in your organization if you are yet to do so. It would be a step in the right direction as it will help in implementing the right digitization strategy for your online training courses. Further, your learning & development team needs to identify your business objectives and the skill level of employees right from the start is essential to finetune your strategy and execute it. However,, most importantly, the team has to ensure the learning strategy is sustainable and help personalize the training experience to improve knowledge retention. Your learning & development team has to facilitate the digital transformation process, thereby helping your organization leverage new eLearning opportunities and achieve the training goals. The success of any learning & development team hangs on the ability of an eLearning Community Manager to communicate the importance of online training to your employees. This person holds the responsibilities of encouraging employees to participate in online courses, and moderating the communication that takes place both on the LMS platform and elsewhere in the organization. He/she also needs to take feedback on online training and learning materials. eLearning Community Managers add to the quality of interaction for online learning and help employees adopt new learning methods in an efficient way. When they have a detailed training strategy, a versatile LMS software, a dynamic learning & development team, and eLearning Community Manager, enterprises stand to see positive results in their efforts towards digitization of corporate training. Such a well-planned and executed process tends to hand over full control to instructors to ensure they reach their training goals in a delightful manner. Author Bio:- Robin is a Technical Support Executive. He is an expert in various LMS and employee training software. Currently, he is a resident learning management expert at ProProfs. In his free time, Robin enjoys cycling and sky diving. As far as science and technology go, the Antikythera Mechanism is one of the biggest and most intriguing stories ever told. But what exactly is the Antikythera Mechanism and what makes it such a significant discovery? The Antikythera Mechanism is a device used to monitor and forecast solar cycles. The mechanism, which is often described as the world’s “first analogical computer,” is believed to have been used by early astronomers to mark the calendar as well as predict solar and lunar eclipse by tracking the movements of the sun, moon, and planets. The Antikythera Mechanism was also used to plan a four-year athletics tournament cycle like the Olympic Games. Technically, you would be right to call it a calculator, as it was used to add, multiply, divide, and subtract. In addition, the relic could align different cycles and show the position of the sun and moon in the zodiac. The device, a complex system, comprises over 30 sophisticated bronze gears held in a wooden and bronze case that’s about the same size as a shoebox. These gears were used to control dials tracking the moon, sun, planets, eclipses, as well as the schedule for the Olympics. 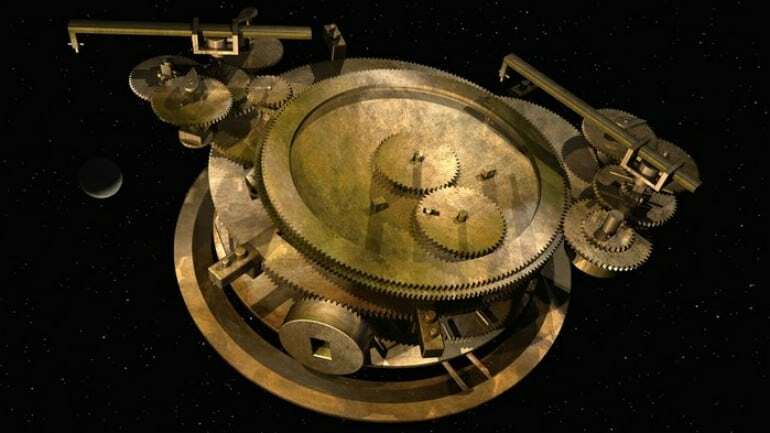 When Was the Antikythera Mechanism Discovered? In 1900, a boatload of Greek sponge divers was blown off course by a storm, forcing them to take shelter by the small Mediterranean island of Antikythera, per LiveScience. The following day, they went diving off the tiny island and found the wreck of an ancient trading ship believed to be 2,000-years-old. The divers later retrieved three flat pieces of corroded bronze from the submerged ship, which many believe sank between 70 BC and 60 BC on its way to Rome from Asia. Researchers say the device was first made sometime between the second and early first century. Two years after the discovery, Greek politician, Spirydon Stais, who spearheaded the ship’s underwater excavation, visited the museum where the treasures from the wrecked cargo ship were kept. While sifting through the items, Stais was attracted by some fascinating pieces of bronze, which would later be known as the Antikythera Mechanism. Assisted by Greek nuclear physicist Charalampos Karakalos, Price took a complete X-ray and gamma-ray images of the device’s 82 fragments. His research showed that the mechanism’s primary gear represented the calendar year, while the smaller, unconnected gears were designed to serve as the celestial bodies, cites an Independent article. You may think a degree in business is enough to help you in your career of choice. While it may help you land your first job, for you to prosper, you need to continue improving yourself, otherwise your skills will become overlooked. Completing an MBA in Project Management can help develop your skills, which will, in turn, propel you forward in your career. Through project management, you can learn how to make goals and meet them within the constraints your business or client imposes. 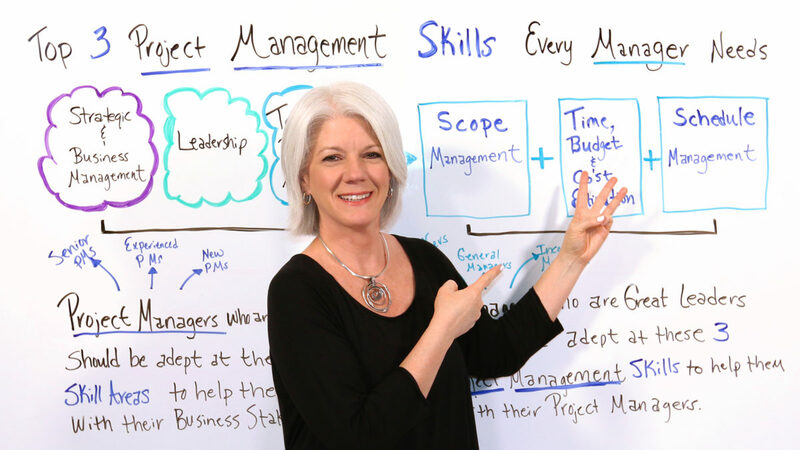 Here are three ways your can implement project management skills in business. Business requires a level of organization, however, chaos can ensue. You need to ensure that you are able to organize not only yourself but also your team. Otherwise, you may miss deadline, fail to meet quality or miss out on details that could impact the business as a whole. As a leader, it is up to you to meet the client’s brief, while knowing how to manage the scope of the project, the budget and the quality and time that is needed. It’s in the name – ‘management’ means you will be managing a number of projects as well as people, so that you can meet deadlines and ensure the quality is up-to-scratch. 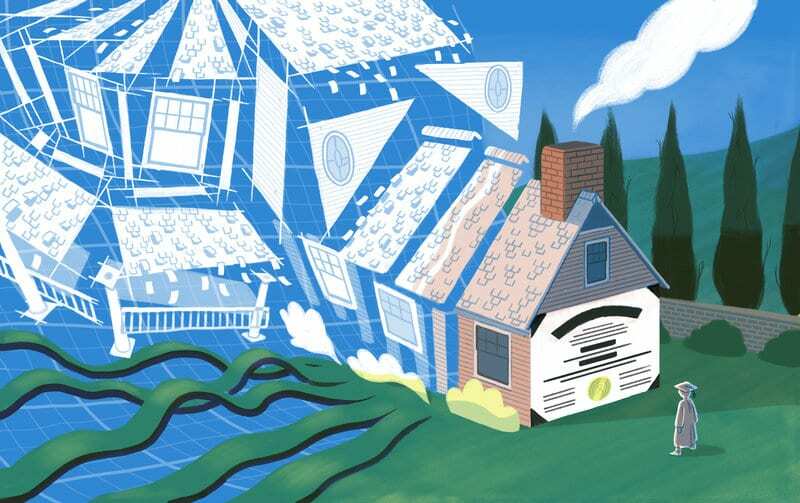 You may be assigned one project at a time or perhaps two. If it is the latter, then multi-tasking is a required skill. You may need to work with other sectors within the business, such as designers, contractors and other project managers. Ill-defined project management can be detrimental to a project and the client’s objectives, which is why, if you are needing to improve your skills, you should look for ways to improve your knowledge in the area. Project management MBA program can help teach you about strategy, as well as leadership, making business decisions and marketing. All projects will require you to work with a set budget. 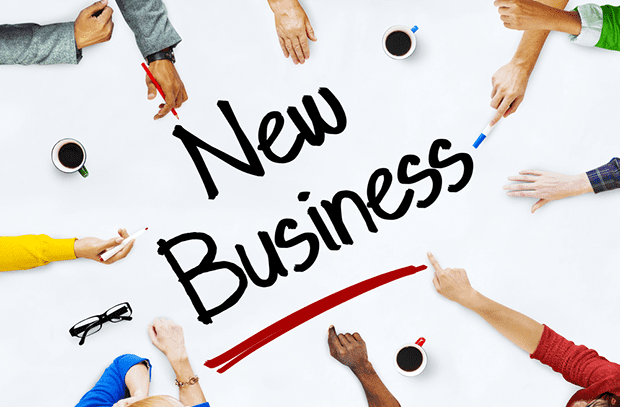 This is a necessity, so that your business – and client – can breakeven or make a profit. To ensure you do not overspend, you need to learn how to work with money and keep finances in order. Project management can help you work within this common constraint. As a project manager, you need to speak to your client and understand the outcome they are hoping for. While a budget may seem restricting, it can help you mold an image of what it is your client is after – without overstepping the mark. This is a problem you need to solve, which is why learning problem-solving skills can help you deliver to your client and impress them. Project management has the ability to help you improve your skills personally as well as your professional life. You can become a better leader, know how to manage within certain Res-Ptrictions, work with clients as well as co-workers, and establish or improve pre-existing planning, organizational and marketing skills. Project management skills can be obtained easily, through the internet and through online courses.